These rain paints work well in all conditions. The Gore-tex Pro shell has excellent breathability. The pants are durable and well constructed. 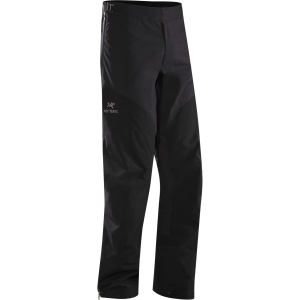 The built-in gaiters keep out snow and mud. The coated zippers keep water out and allow added ventilation if needed. Not as compact and pack-able as other rain pants. 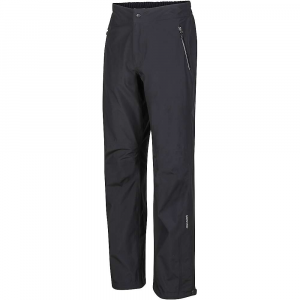 These pants are keep out driving rain and snow and are the best all around outerwear for travel in wet and cold conditions. The pants keep you warm in camp and breath on the trail — layering is easily accomplished as the pants are large enough to permit this. I have traveled through thorns (albeit nervously), however these pants came out without a mark. Bottom line: A+ best rain pants hands down for trekking in wet mountain conditions. Another well made product from Arc'teryx. I'm a 34 waist and bought the large. The fit is good with room for layering and still have room for movement. Zippers are great and plenty of ventilation. 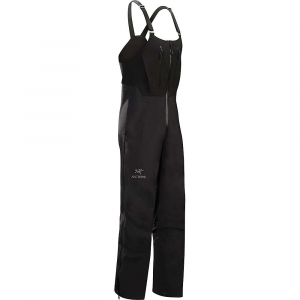 These pants are great for any wet conditions. 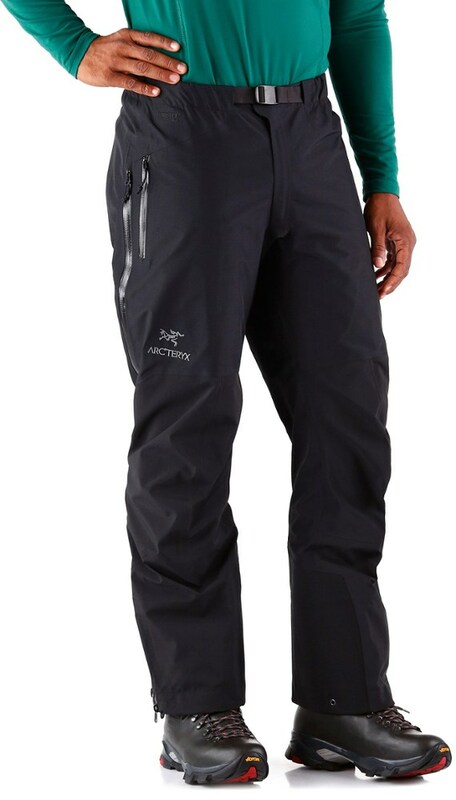 The Arc'Teryx Beta AR Pants have articulated knees for easy movement going up or down the mountain. They have performed excellently mountaineering, skiing, and in the rain. Arc'Teryx clothing seems to be the most well built compared to all other outdoor gear. The downfall is you pay for the quality.